Renowned music director Koti’s younger son Rajiv is on a signing spree now. Rajiv has made his debut with Notebook movie and has worked on one more film Aakasame Haddhu alongside Navadeep. 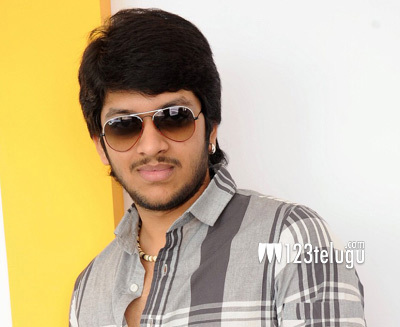 Right now he is shooting for a film “Love You Bangaram” which is produced by director Maruthi. Recently Rajiv has accepted two more films. The first movie is being made under RP productions and produced by S.Sriramulu and K Sudhakar Reddy. Chandha Govind Reddy who has over 10 years of experience in direction department is marking his debut as a director with this film. The title and rest of the crew of the movie will be announced soon. The muhurat of the other film was held recently.NRI Sriram VegiRaju is directing this movie who has earlier made “Distant Beats” which won an award in Los Angeles film festival. The movie is expected to be a Socio-fantasy comedy film and is produced by P Ravi Shankar under Chasing Dream productions. Let’s hope Rajiv gets a break with these movies and establish him as a successful actor.